"The most satisfying moment is the end of the journey made together: from the fabric selection, to the drawing of the model on paper, including the small decision made during the fittings, till the contentment I see in the in eyes of the one who wears the finished garment." Master, can you please tell us about your carrier in tailoring? I was born on the 30th of January 1975. I started working right after I finished secondary school, at the age of fourteen. I come from a family of artisans: my father was a carpenter and my mother a seamstress. Since I was a boy I have always had a great manual dexterity. I remember going into my father’s shed, where he kept his tools, and fumble with any instrument that caught my eye. Aged ten I even started to make little leather bracelets, that I would then deliver door to door to my friends who commissioned them. Seeing this ability of mine, some school teacher suggested that I should go to an art school: instead, I followed my Mon’s advice to practice my dexterity and joined her in the tailor shop where she worked. So in September, at the end of the summer holidays, I started working at Gino Calabresi’s tailor shop, in Vicenza. The good thing about starting apprenticeship so young is that one acquires dexterity and speed that can't be learned as adults. 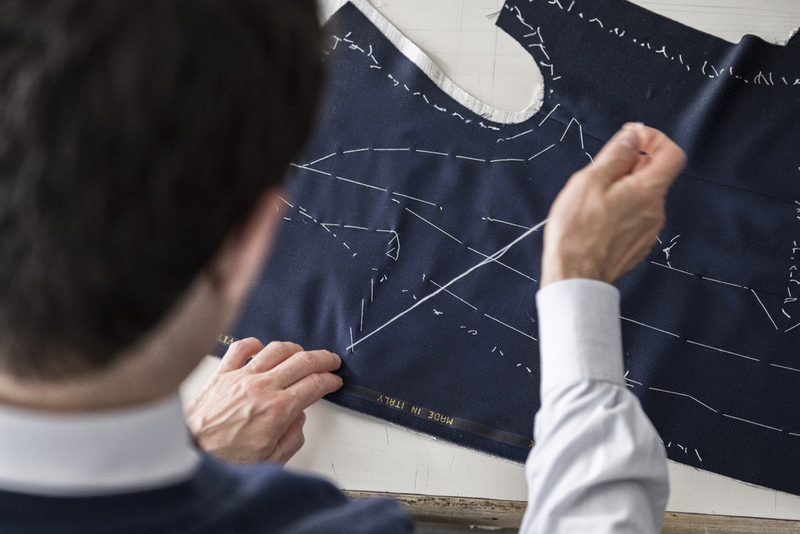 Was your training entirely done in the tailor shop, or did you also attend tailoring school? Mr Calabresi was my first teacher, but he wasn’t the only one: I was also taught by my mother and by Mr Calabresi’s wife. 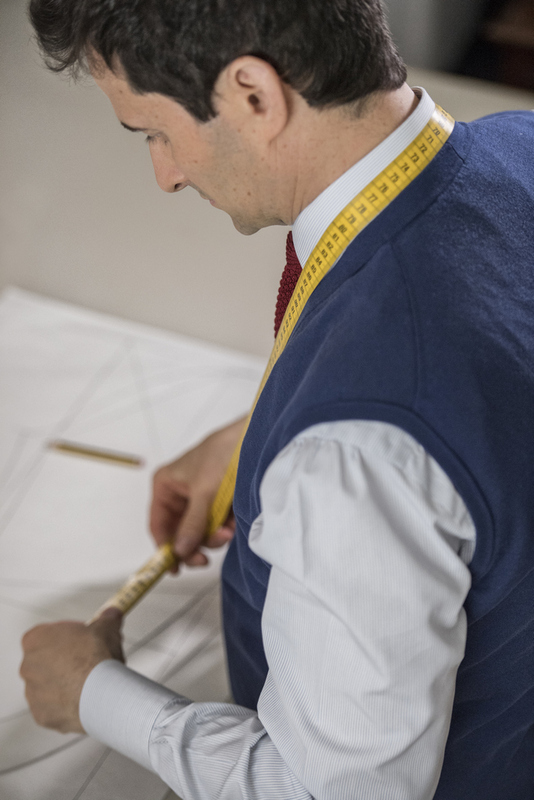 My desire to learn and improve my skills was so great that I enrolled myself in a tailoring, cut and sewing courserun by master tailor Ottavi Ossato, in Vicenza. This way I could combine the practical work I learned in tailoring at the shop and the theoretical foundations of the modeling I acquired at school. I managed to combine in one job my great dexterity, the desire to create and build something of my own from scratch and, at the same time, the passion I had for the films of the '60s and' 70s, in particular for the great elegance of many actors of the time. To this day I still recall the nights secretly spent watching old movies with Jerry Lewis and Dean Martin, who always sang and danced wearing a suit and tie:I would have loved to be their tailor… Anyway, the experience that I was accumulating allowed me, around the age of 16, to take my first big satisfaction: I cut and made my first jacket. I remember clearly a beautiful camel hair jacket. However our craft can't be learned only in the workshop, one needs to evolve, so I attended renowned tailoring schools, such as the "Ligas” based in Turin and the “Istituto Secoli” located in Bologna. I also studied the classic manuals written by great masters, Gregorio Luzzi being an example. I also learned from my colleagues of the time, I can’t forget my friend Francesco Giorgi of Trieste who always pushed me forward and my buddy in Vicenza, Antonio Grieco, who passed on to me his great experience. I also gained important experience in the European chamber for high tailoring (CEDAS) where I shared knowledge with other master tailors. When did you become professional? In 1995 I was drafted into the army for one year, at the end of which I decided to take the plunge. With the approval of Mr Calabresi, I took over his business. So at the end of 1998, the name above the door changed to "SartoriaCalabresi by Massimo Pasinato". I have to admit that the first few years were hard, to say the least,given my young age and inexperience; however I was lucky enough to have some very good customers who helped me going from newbie to their personal tailor. It is also thanks to them that in 2005 I was able to take another big leap forward, the acquisition of the current location of my shop, recently renewed. I wanted to provide my customers with a more spacious and brighter room. The years spent in the workshop, and my formal training, allow me to follow the new customers, young ones, who are learning to appreciate the magnificent custom tailoring world (thus lowering the average age of my customers, which starts at thirty-five). 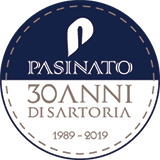 I admire my friend and colleague Antonio Aloisio, based in Rome, who managed to realize the dream of every tailor: opening a big workshop that employs many people. When I started working, many of my peers were trying to branch out into the readymade. I, however, have always favored handmade, bespoke tailoring. This is the way I prefer, the one that gives me pleasure. “The most satisfying moment is the end of the journey made together: from the fabric selection, to the drawing of the model on paper, including the small decision made during the fittings, till the contentment I see in the in eyes of the one who wears the finished garment." However, what I believe to be the one thing that makes a man elegant, is the care he puts into maintaining his wardrobe. There is nothing worse than seeing somebody wearing a crumpled, badly pressed suit. Can you describe some of peculiarities of your creations? A special feature of my jackets, and that I always ensure to notice to my customers, is that it must always adhere to the neck and give maximum movement to the arms without giving any constraint. I carry on with the traditional Venetian way of cutting a jacket that is clean and well put together, entirely handmade with neat and precise stitches. I like it when a customer is willing to accept my suggestions and lets me cloth him according to his body shape. 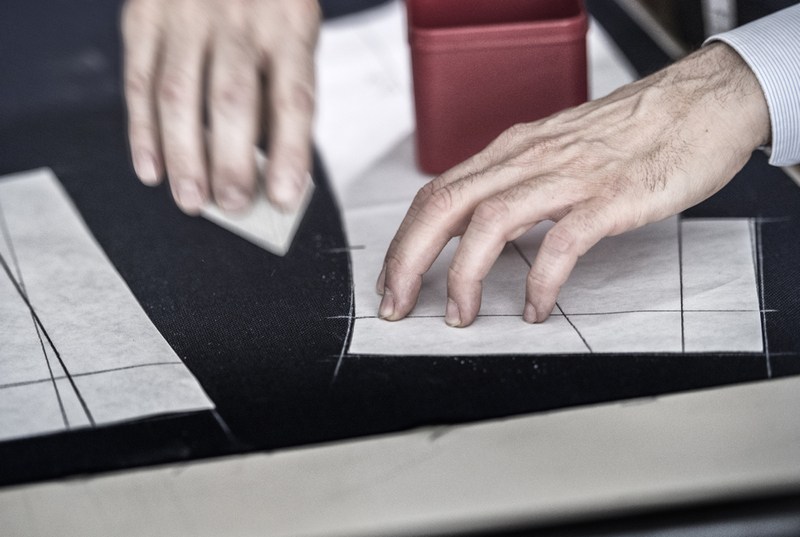 What is your forecast regarding the future of Italian bespoke tailoring? We are living in a sort of rediscovery of the handmade, the traditions and the beautiful, all values that were lost at the beginning of this new century. I often hear that the future of tailoring is in industrial bespoke, I disagree. I believe that traditional tailors will be around for many years to come, at least until there will be demanding and expert customers. I trust the new generation to be able to give continuity to this art that otherwise would risk to disappear within the next ten years, given the lack of generational change that we are experiencing. .